Water leakage is accountable for an added amount to your monthly utility bill. Along with that, it can also cause serious damage to your house. Here are some of the signs that will enable you to determine whether you need me to fix those leaking faucets or add it to your Honey-Do list. Leaking of water tanks: There are times when the valves of a water tank connected directly to the drain might be leaking. If you try to remove the drainage pipe from the tank and are unable to do so, you can be pretty sure it is due to leakage. Toilet leakage: A toilet leakage can turn into your worst nightmare in no time. That’s why it is important to check the tank of the toilet if you hear the sound of cascading water to identify the location of where the sound is coming from. If you can’t find where it’s coming from, pour a small amount of food coloring in the tank and wait a few minutes. If you observe water seeping deeper into the bottom of the tank that means that there is a leakage in the flapper. If you have more than one toilet in your home, repeat the process with the other toilets. Detect leakage through meter line: If you are unsure whether there is any leakage in the house, you can easily detect it with the meter line of your house. First, turn off the main water valve of your house temporarily and check the dial of the meter. If you cannot see the meter head you may need to dig a little around the house because it is common that the meter head becomes covered with grass or leaves over time. Once you locate the meter head check to see if the dial shifts. If it does, you can be sure that there is a leakage in your house. Leakage of hose bibs: Hose bibs are pipes, mostly located in the toilet or kitchen, where you connect the hoses. A leaking hose bib is an easy fix. First, place the tip of a screwdriver on the metal area of the hose bib then place a finger on the screwdriver and listen for a sound. The screwdriver acts as a stethoscope and detects the location of the leakage. The louder the sound, the closer the leakage is to the hose bib. If you cannot hear any sound, repeat this process with the other hose bibs in the toilet or kitchen. You can also use this process on other fittings such as sink faucets, shower valves, washers, hot water heaters, and more. Check other areas in your house: Sometimes there can be a leakage in the exterior part of your house like your backyard, garden, and/or swimming pool. Check all the valves, pipes, and taps in your garden for any leakage. Check the swimming pool area thoroughly. Not only can it be annoying to have a dripping or leaking toilet at home, but it can also be costly. Though you may think that compared to the quantity of water used during bathing, cleaning dishes, running a washing machine, watering a lawn, etc. that a leak would not have a big impact your water bill, this is false. On average, a dripping toilet wastes seven to ten gallons of water per day, costing you an extra $30.00 -$40.00 yearly while a leaking toilet can waste between fifty and one-hundred gallons of water per day, costing you an extra $100.00-$200.00 yearly. Not only is a leaking toilet costly, but it is also wasteful. A leaking toilet wastes more than 2000 gallons of water every year which is equal to the amount of water a person can use for 200 showers over the course of the year. A dripping or leaking toilet is one of the most common reasons for household water leaks and causes of water waste so it is beneficial for you to understand how to prevent leakage to help keep the cost of your water bills down. Remember, no matter how small the leak is, it will cost you a great deal of money that could have been delegated to a different purpose. If there is a minimal leakage, check for any decrease in water pressure on the main valve and if there is any leakage in the other faucets or taps in the house. If you have a leaking faucet or leaking toilet pipes, it is essential for you to attend to it right away to prevent mold from growing and spreading throughout the house, which can be dangerous for you and your family. In addition to the higher water bill, there is an added cost for repairing the drip or leak. The leakage can also damage the floor and other fixtures of your house causing you to have to replace the flooring and possibly new faucets or shower heads which may cost you an additional $200.00-$500.00. Sometimes it is very difficult for us to realize how much water we are wasting due to leakage, but it is essential for us to understand the gravity of the problem. A simple toilet leakage could lead to a grave problem such as water drought. That’s why if you face any plumbing problems you must get it repaired as quickly as possible. If there is a water leakage, there must be only one thought in your mind – fix the leak as quickly as possible. Water leaks can cause severe damage to your house if it is not repaired in a timely manner. Mildew & Mold: One of the most common dangers of water leakage is build-up of mildew and mold. This is very dangerous as it causes various health problems such as breathing difficulties, coughing, asthma, chronic diseases, emphysema, and can also cause caustic rashes and allergies. Mildew has a very perspicuous odor that smells really bad and is harmful to your health. Mold can easily spread throughout your home in your carpets, furniture, and your clothes. One of the worst forms of the mold is black mold which grows due to chronic water intrusion. It is very toxic for health and spreads quickly into the flooring, walls, ceiling tiles, and even in the wooden frames. Water leakage also damages the attic and ceiling of your house. The attic is the place where most of the unused items are stored and if the water enters the attic, it will be quite a nightmare for you. Leakage of water also causes the wall paints and ceiling paints to darken. If your house is painted with plastic paint, you will observe small bubbles on the ceiling and walls, which gradually expands with time. This can be very costly for you because you will have to repaint the entire house. A small leakage in your toilet or in the kitchen can also be harmful to the insulation of your house. Whether you have a cellulose or fiberglass insulation, water causes it to become saturated and it is very difficult for it to dry. Fire Hazard: Whether there is a water leakage in your toilet or kitchen or even in your garden, it causes fire hazards. There are electrical lines at every part of the house including the garden, so a water leakage poses a fire threat from shorted wires. That is why you must immediately switch off the electricity in your home once you detect a leakage and call an electrician and me, Tim Dean Plumbing & Heating at 610-942-3865 to examine the problems. 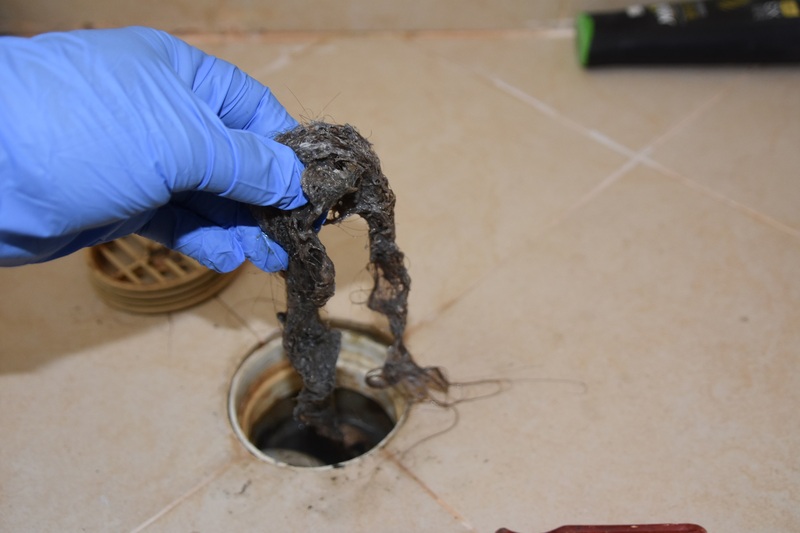 Chemical solutions should not be your first step to unclogging a drain. Tim has been our Plumber for over ten years and has taken excellent care of everything in our home that needed fixing. He has always been there for emergencies and the best part is that he comes when he says, and the things he fixes stay fixed. Its great working with Tim and I highly recommend him. – Jim L.